Ready to make a change? Our health coaches can not only help customize a healthy eating plan for you, but they can also arm you with exercise tools, meal planners, and all the information you need to achieve your optimal well-being. Please contact us at Balanced Wellness for additional information: info@balancedwellnessky.com or call 502-716-7773. Want to stop smoking? Need help? Our wellness coaches understand the struggles of breaking the habit, and we leverage this understanding to help you kick the habit and live an all-around healthier life. Regardless of the season, our health coaches are poised to help you achieve optimal wellness. Take advantage of our seasonal wellness programs, specials, and deals! 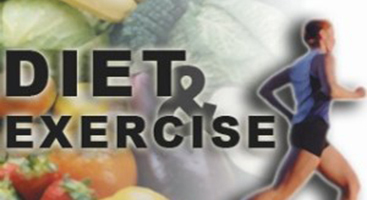 Need help developing a healthy diet plan or exercise program? Our health coaches can guide you through this challenge and help you achieve lasting weight loss and positive health results. Our weight loss programs are perfect for employee wellness programs, community groups, and individuals. Balanced Wellness is a CDC recognized provider for the Prevent T2 Diabetes Program. The diabetes prevention program is offered face-to-face or virtually, and it is designed for those at risk for Type 2 Diabetes.